Use this bullying video to help students deal with anxiety. Remind kids they can own their own moods! Whatever feels better. 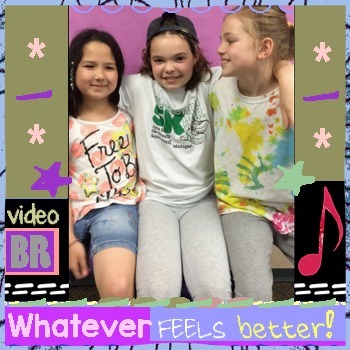 Our bullying prevention song "Special"
Loyalty in Friendship Interactive Notebook and more - "Got Your Back"
BE THE FIRST to know about my new discounts, freebies and product launches! Look for the GREEN STAR near the top of any page within my store and click it to become a follower. You will then receive customized email updates about this store. Please go to your My Purchases page (you may need to login). Beside each purchase you'll see a Provide Feedback button. Simply click it and you will be taken to a page where you can give a quick rating and leave a short comment for the product. I value your feedback greatly as it helps me determine which products are most valuable for your classroom so I can create more for you!